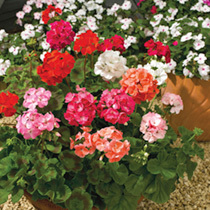 With colourful blooms year after year, Geranium seeds are a very popular choice for any garden; these single flowers are loved for their elegant simplicity. 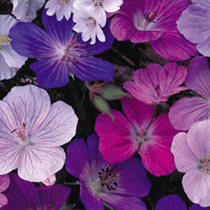 A half hardy perennial, Geranium seeds should be sown between October and March for flowers during May and October the following year onwards (some plants will flower during the first year). Geranium seeds should germinate within 3 to 21 days. The seedlings need to be transplanted singly into 75mm pots and grow on maintaining a minimum temperature of 15°C. 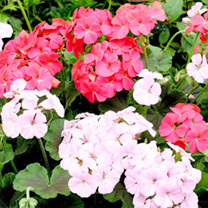 The Geranium plants need to be acclimatised to outside condition before planting out at 30cm apart, in an open sunny position.